Working with a casual CM wardrobe, a mixture of Drake's style English country and northern Italian influence. Thinking this is probably going to be a bit frustrating? Too soft to be a good jacket, but not as versatile as a sweater. But I'm on the fence and happy to be convinced either way. ^^ dont. You are completely correct in your intuition. More of a “should I keep?” Similar to @hendrix’s recent post about Lazy Oaf, my only reason for not liking them is stupid/elitist/pathetic (more so than his reasons): they’re cheap and widely available at Nordy Rack, rather than some artificially exclusive release. Thoughts @Benesyed? You seem to go for lots of shoes like these. Do you do the sockless loafer thing? Do you own multiple pairs of white pants? If you answer to questions like that in the affirmative, you are on the path to making it work. Helpful, cheers. Somewhere in the middle of those I think, aspiring to be half as cool as Jason Jules. But you're right, I don't have the depth of casual pants to make this versatile. I’m wanting to get a down filled coat for non layering when out in the cold all day. I hate wearing jumpers and big coats as I overheat when in the city, so I’m looking for a coat that I can just wear over a long sleeve t shirt. De Bonne Facture English moleskin jacket. Versatile, or boring? I love the chore jacket, maybe is plain but easy to wear with most casual pieces. Not sure if you really need a down parka, as pointed out above, but I will say there is nothing warmer for a single item of clothing. I can do tshirt + parka down to about 12F. Most importantly, make sure you're looking at the full picture when it comes to price. When I needed a down parka and was looking at CG, I did some quick maths and ended up buying a triple fat goose on ebay for 10% of a CG. Just as warm and cozy with ethical down and real coyote trim, at a price that is less than the loss you would be taking on CG. It is also one of the most faked brands out there, so I wouldn't even look at used options unless I was really really certain. A lot of reasons to buy a different brand second-hand, but also consider that since it's essentially all animal product there is no new materials used or produced. Look at Veilance - perfect for your needs. That is exactly how I wear mine (if you are interested I can look up the model name - cant recall). Never too hot, never too heavy. Retains value if you resell it, but I don't see why someone would unless their size changes. canali's knitted sport coats are ok, but only really work if you have good build. they're super soft, so it's like wearing a cardigan. helps if you have a natural v-shaped torso. would prefer a darker color than that blue though. ok to suede jacket. bag is bad. you can get basically the same shoes for like $200. pass on cg. if you don't mind spending a bit of money, nigel cabourn's everest is great and would go with your classic styled wardrobe. if you buy it second-hand, you won't lose too much money on a resale cause they hold value. the coat has been around forever and is cabourn's signature piece. American brand, at least, though they're made in China. I've been burned by Feit enough times that I'm not gonna take a chance on those. But I sure do want to. Because they look phenomenal. Some of my favorite hikers on the market. 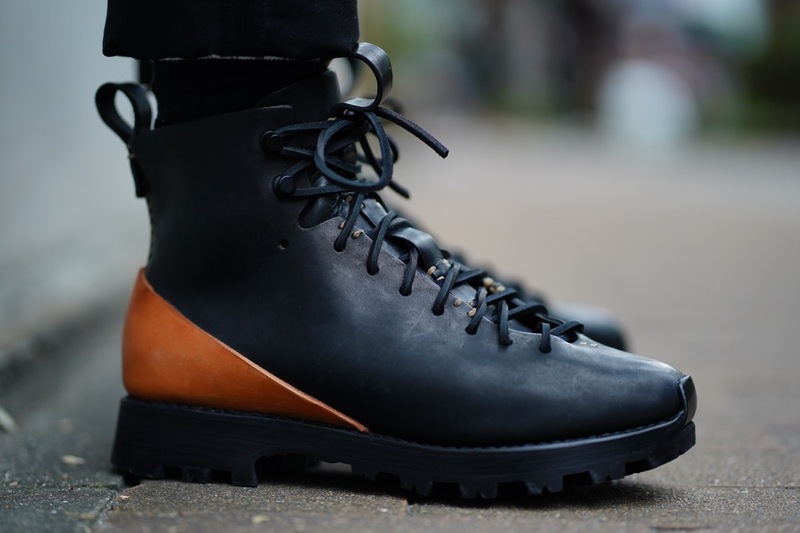 Feit look great but always feel like they will never be comfortable. They do not make half sizes, so we only stand a 50% chance of getting the right size. At more than $500 that cannot be right. Mr. Porter is a 100% discount if you go into their offices with ten machetes. nice one .... I do not read much of SF that makes me laugh out loud, this did! !